"Always wear a helmet!" - That's what your mom used to tell you, right? 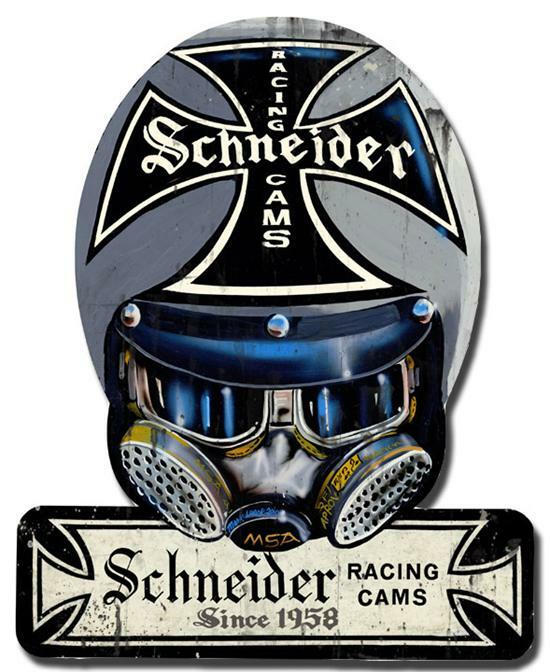 Well make momma proud and order up one of these super sweet and super vintage styled Schneider Drag Helmet signs! 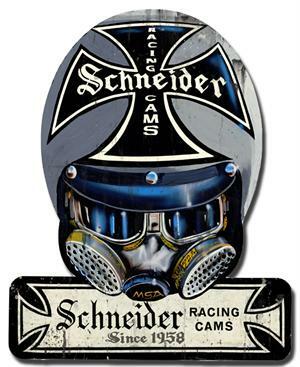 These bad boys pay homage to the heyday of drag racing and are easily the coolest sign we offer.